Director Bryan Singer’s return steadies the X-Men franchise, after the recent Wolverine dominated film. His latest installment ‘X-Men: Days of Future Past’ deals with a post-apocalyptic scenario, but not on how to handle it, instead how to preclude it. Wolverine volunteers for a life threatening time travel mission into past and change it for a better future, both for mutants and human beings. Visually, this is a great X-Men movie, with VFX, set designs, costumes, and cinematography being exceptional. Saravana Bhavan doesn’t look like a house of secrets. Its dining room at the corner of Lexington Avenue and 26th Street is clean and bright and often attracts a line out front. It doesn’t advertise because it doesn’t need to; the fact that it’s one of the world’s largest chains of vegetarian restaurants — 33 in India, another 47 in a dozen other countries — is considered too obvious to its core clientele of Indian expatriates and tourists to be worth trumpeting. 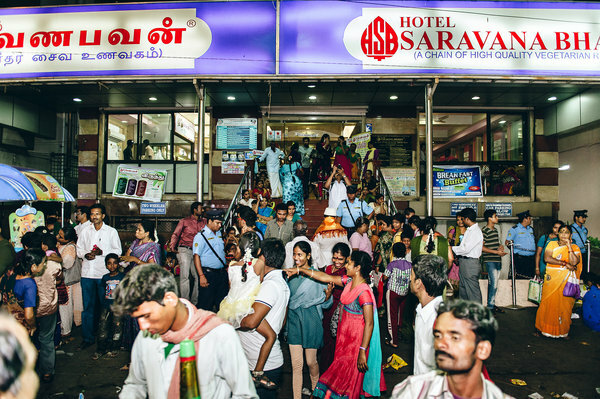 In a city overwhelmed with underwhelming north Indian food, Saravana Bhavan is the standard-bearer of the delicacies of the south, but it makes no effort to educate the uninitiated. If you don’t know what a dosa is or how to eat it, you’re on your own.